On Thursday, the Census Bureau will release data on Construction Spending in September. The data gauges the value of construction put in place during the month and covers construction work done each month on new structures or improvements to existing structures for private and public sectors. Data estimates include the cost of labor and materials, cost of architectural and engineering work, overhead costs, interest and taxes paid during construction, and contractor’s profits. The report for August indicated that construction spending had increased slightly at 0.1 percent month over month and was 6.5 percent above the same period in 2017. Total spending on construction in August stood at $1,318.5 billion. The report estimated private construction spends at $1,001.7 billion and was below the revised July estimate of $1,006.9 billion. 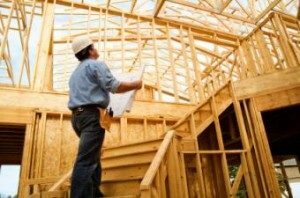 Residential construction was at a seasonally adjusted annual rate of $548.9 billion in August, 0.7 percent below the revised July estimate of $553.0 billion, the report indicated.